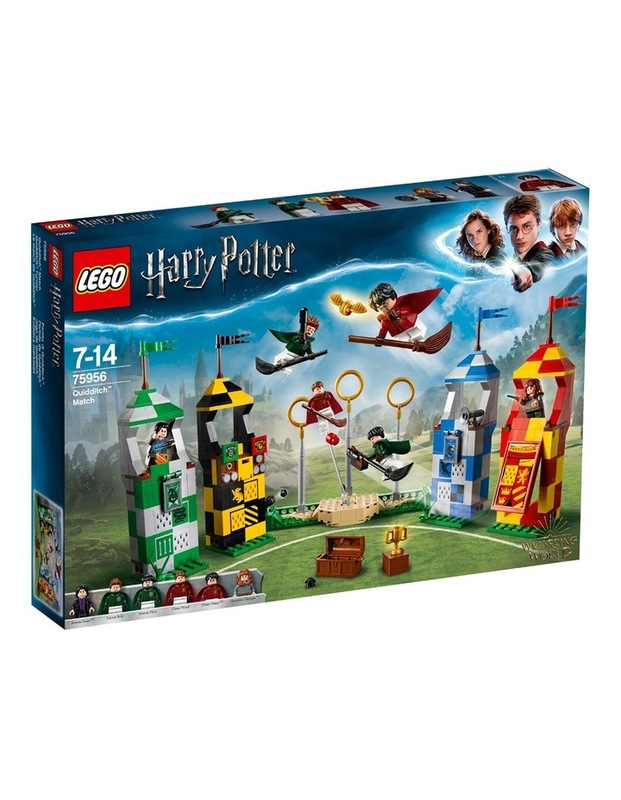 Play the most exhilarating wizarding sport with this 75956 Quidditch Match LEGO Harry Potter play set. Join Harry, Hermione and Professor Snape at the games, featuring Gryffindor, Slytherin, Ravenclaw and Hufflepuff house towers with viewing stands and play feature functions, plus a base with Bludger stud shooter and 3 goalposts with a moving Keeper function to guard the rings. 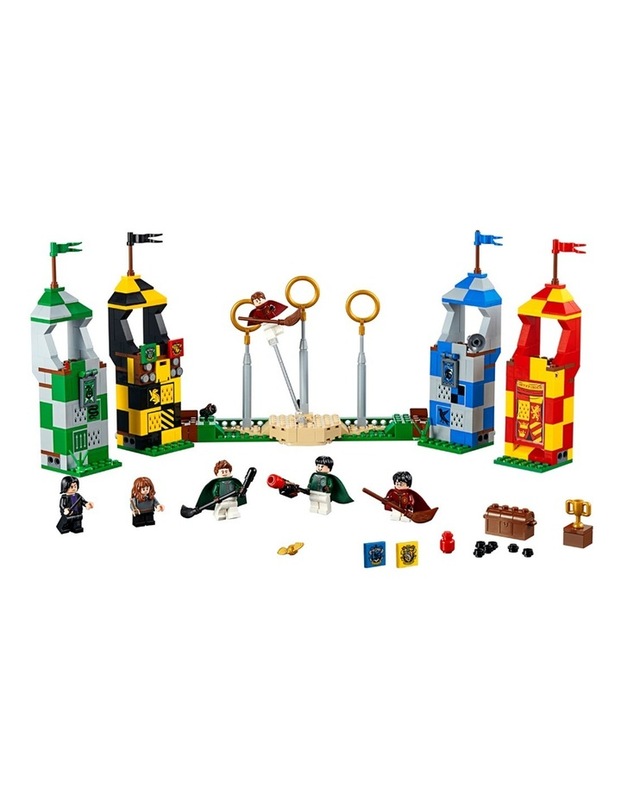 Use the broom's mounted shooting function to shoot the Quaffle through the rings and recreate the famous Quidditch games from the blockbuster Harry Potter movies, or make up your own fun challenges with this fun-packed LEGO Harry Potter toy.